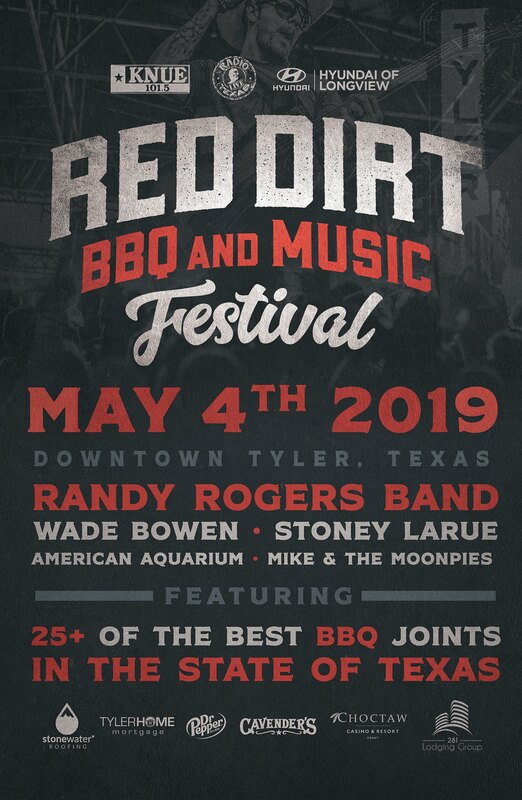 Red Dirt BBQ & Music Festival celebrates the best in Texas barbecue and Texas/Red Dirt Music. More than 25 of the best barbecue restaurants from all over Texas converge on Downtown Tyler to sample smoked meats to attendees. Live music happens on two stages all day with a five-act show on the main stage. Notable acts have included Randy Rogers Band, Josh Abbott Band, Turnpike Troubadours, Cody Johnson, Aaron Watson, Whiskey Myers, Wade Bowen, Pat Green, Koe Wetzel, etc.